Richard graduated from Auckland University with an M.A. in Anthropology and completed his doctorate at Oxford University in 2008 on the late survival of Neanderthal populations of southern Iberia. He recently completed a two-year archaeology lecturing post at University College Cork, Ireland. His main research interest is the interpretation of human evolution from a biogeographical perspective. Specifically, he is interested in the relationship between the distribution of palaeolithic archaeological sites and the extent of the mid-latitude belt across Eurasia, where the continued presence of grassland/mosaic environments would have been instrumental in the survival of hominin populations during the Pleistocene Epoch. He uses spatial mapping software, undertakes climatic modelling, builds datasets, and excavates and surveys new archaeological sites to achieve his goals. He works closely with Prof. Clive Finlayson and colleagues from the Gibraltar Museum on this topic. 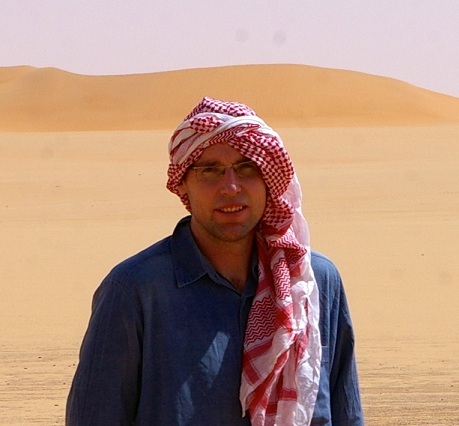 Richard has considerable fieldwork and mapping experience and as well as surveying rock art and palaeolithic sites in Jubbah in 2011, he is also the director of the Gorham’s Cave excavations in Gibraltar.